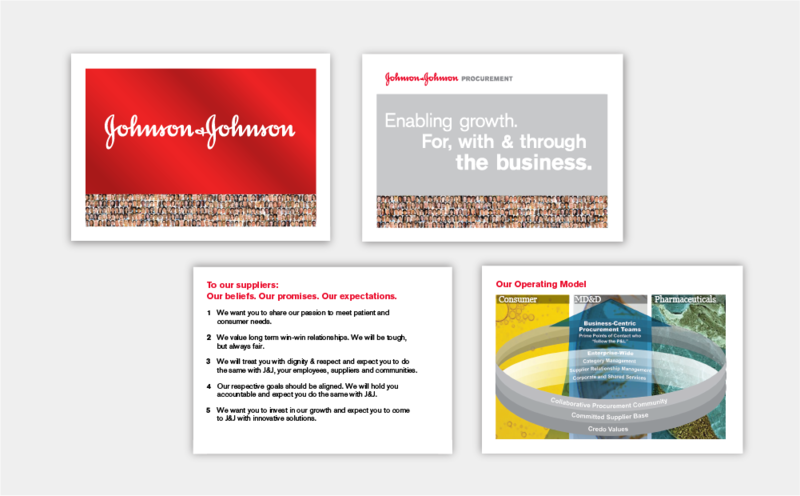 To help unify and clarify the J&J’s global Procurement Division, we leveraged the “Enabling growth for, with and through the business” core messaging. 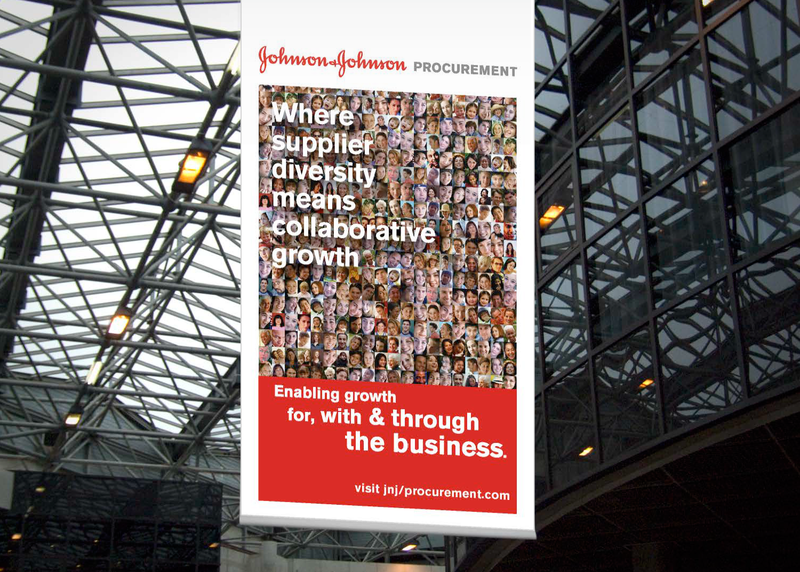 This encouraged community building and awareness (for procurement, business partner, and supplier audiences). Collateral materials built on existing equity while unifying and clarifying the division and creating a a strong, successful and recognizable brand.